Meet at 10.30 a.m. at Brown's Folly Car Park (G.R. ST 798663). Strong boots, waterproofs and hard hats are required. Six speakers all in one day, chaired by Dr Ross Anderson. The Etches collection in the Museum of Jurassic marine life is the largest, single collection of Kimmeridge fossils in the UK. Graham Hickman will lead our visit to Kimmeridge Bay, SSI, in the morning where most of the collection was discovered. We will have lunch in Kimmeridge, and after lunch will visit the Museum. Meet at the Bay car park for 11 am. Car park fee: £5.00. Museum entrance fee: £6.00 per person (min.10 people), otherwise £8.00 per person (includes 12 months complimentary admission to The Etches Collection), and free parking. A field visit has been organised for Thursday 9th May 2019 as part of the national GeoWeek activities. The morning will involve visiting the Harnham Water Meadows in Salisbury where Dr Hadrian Cook, the Trust’s official ‘drowner’, will walk us round the meadows explaining the geology, hydrology and social history of the meadows. After lunch Steve Hannath will lead an interpretative walk round the Cathedral Close focussing on the geology and the local earth materials used in the construction of the buildings including the Cathedral. 10.30 Meet Hadrian Cook, the ‘official drowner’ for a walk and talk around the meadows. 12.15 Lunch – local pubs and restaurants, Cathedral cafes, Museum café or sit by the river to eat own sandwiches. 1.45 pm Meet outside the Salisbury Museum in the Cathedral Close for interpretative walk around the Close. All times are approx. Strong boots are recommended for the water meadows. 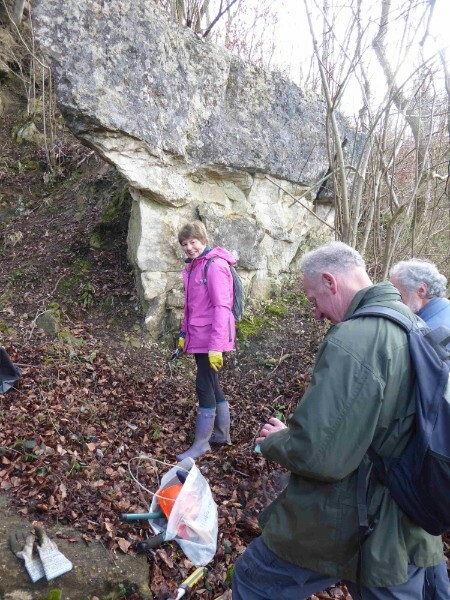 Please email Clare Backman of the Wiltshire Geology Group at harrington_clare@hotmail.com to indicate your interest in joining. The geology of the area is of Old Red Sandstone as far as Tintern and below this point to Chepstow it is Carboniferous limestone. Meet at 10 am in Tintern Abbey car park, (G.R. ST 5331999), £3.00 no time limit. 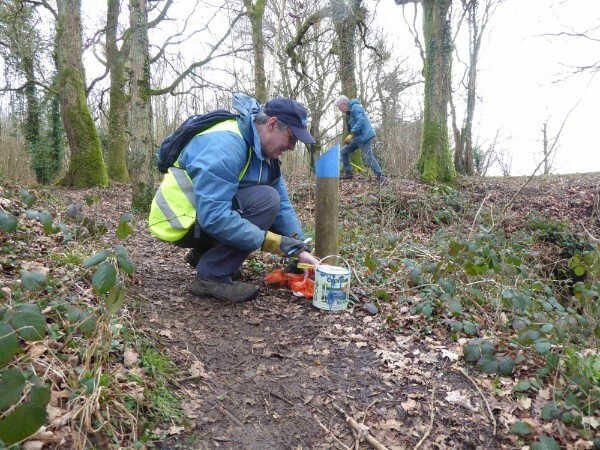 We then transfer into as few cars as possible to go up to Tidenham, from where we walk down to Tintern via the Devil’s Pulpit, and have lunch in Tintern. After lunch, we visit the quarries from which the abbey was constructed. 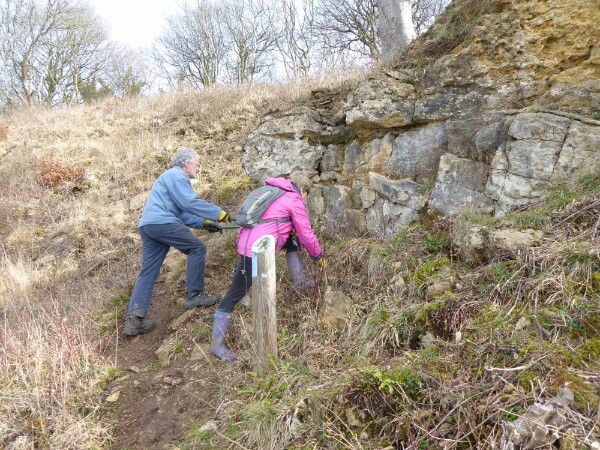 An exploration of the Andesite and Carboniferous Limestone quarries at Moon’s Hill during the morning, followed by a visit in the afternoon to the Jurassic and Carboniferous limestone exposures in the Tedbury Camp and the De la Beche Unconformity. Maximum number: 20 people. 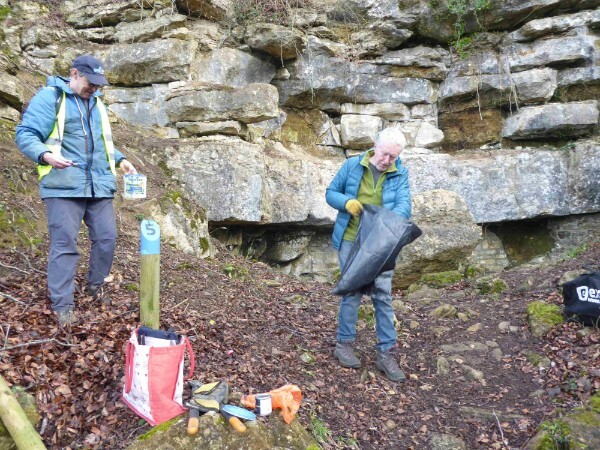 Meet at 10am at the Somerset Earth Science Centre, Moon's Hill Quarry, Stoke St Michael, BA3 5JU.